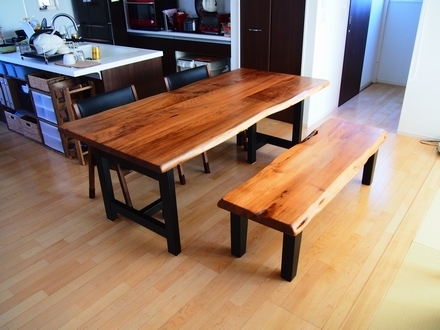 A dining table set, of a Walnut table and Walnut benches was sold and delivered. 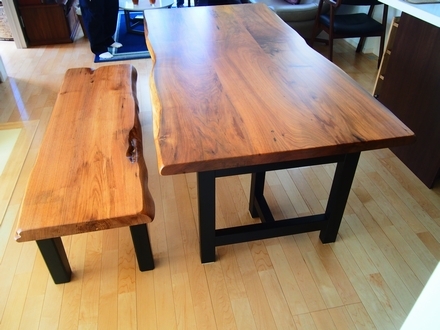 The couple who bought it paired the deep, rich color of the Walnut with matte black legs. It looked sophisticated and very put together! 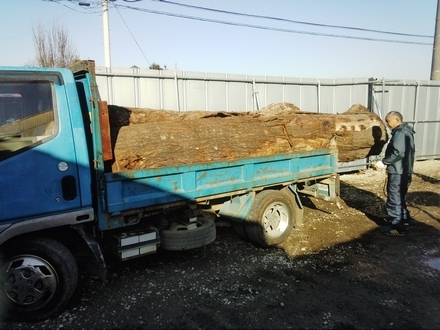 We loaded a log of walnut onto a customer's truck. 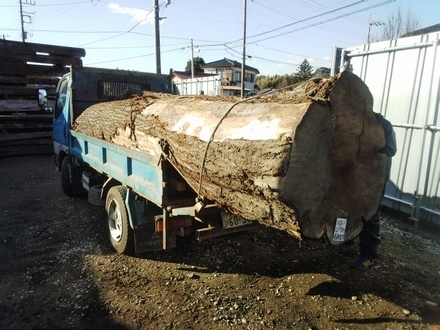 It was a little too large for the truck, but it was reached its destination safely. 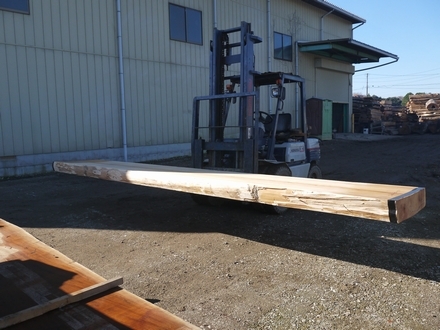 "important for their attractive timber, which is hard, dense, tight-grained and polishes to a very smooth finish." Walnut is a wonderful material, grown by mother nature! 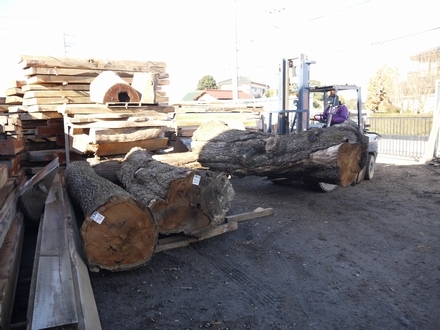 The wood Mr. Boss bought at an auction at the Gifu wood market were delivered. 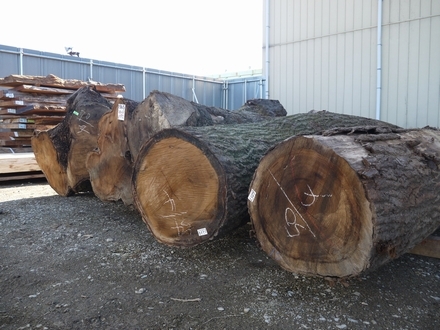 Four of them are Kurumi (walnut), grown in Japan. They are a creamy deep color. 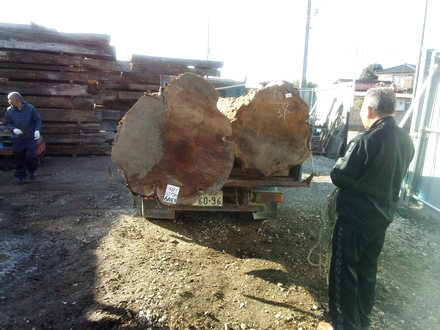 The cedar wood's length measured 5.2m! A giant table can be made.